The concentration of carbon dioxide in the atmosphere has now exceeded the symbolic threshold of 400 parts per million. Over the past fifty years a series of events have occurred that are linked to the warming effect of this greenhouse gas: retreating glaciers, melting polar ice caps, rising sea levels and increasing frequency of extreme weather events. Since climate change stems from human behaviour, we need to improve our understanding of the risks faced by humanity, investigate the basic processes underlying the atmosphere, the oceans, and the biosphere and become more aware of their slow but inexorable transformation. What happened in the past? How will the subtle balance between humanity and climate evolve? What tools do we have at our disposal to avoid the side effects of this new global threat? 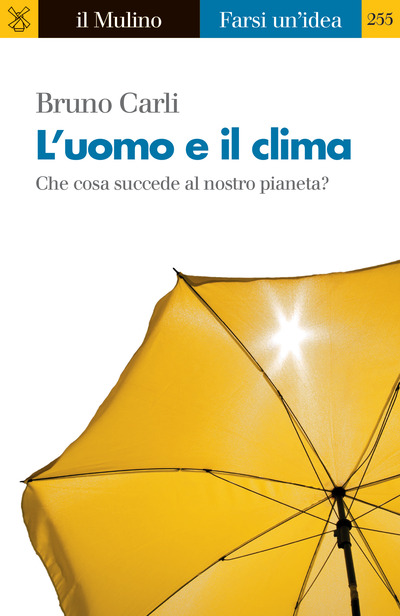 Bruno Carli is a member of the Accademia dei Lincei and a former director of Italy’s National Research Council.